This labradorite cushion is strung on a gold wire with gold sequins on one side and a small labradorite bead on the other. 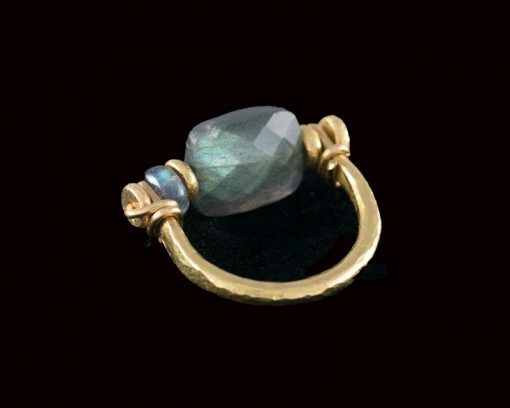 The ring is in the Roman style, and we call it a spinner because the stones do just that – they are not fixed and can spin round. 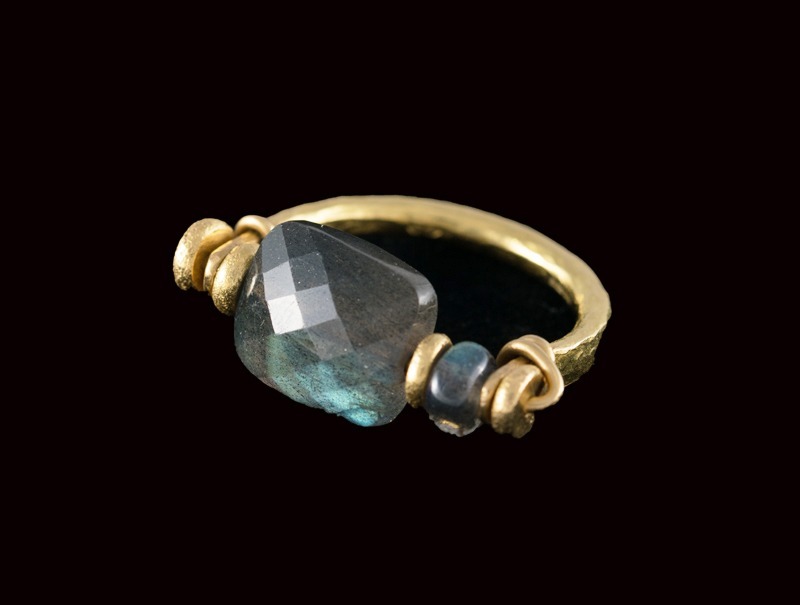 It’s an ancient design that is so contemporary looking, and these rings are wonderful to wear.